Dungarees from Swedish designer Duns. There's lots of activity on the riverbank. Button fastening on the straps and poppers at the leg to ease changing. 100% GOTS certified organic cotton. 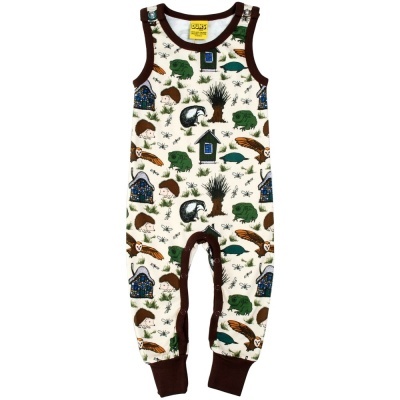 Dungarees from Swedish designer Duns. There's lots of activity on the riverbank.